04 Mart 2019 Pazartesi 17:02 - 13 reads. Folketingskandidat Klaus Riskær Pedersen's (E) opinions about Russia in the last week is "appalling". It takes the defense minister Claus Hjort Frederiksen (V), according to Klaus Riskær Pedersen Saturday to The parliament house said that "we must out of all the conflict with the russians". - The easy way, he circumvents the security issues, there are in Europe, it is a little shaky. It shows a total lack of insight. - It is not the case that we can just switch a line over all of it, the russians have done in recent years, says Claus Hjort Frederiksen to the Althing. 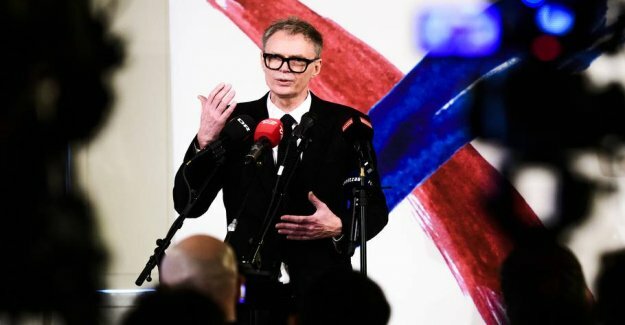 Klaus Riskær Pedersen, whose party bears his own name, he said, among other things, that Europe should not interfere in Russia's annexation of Crimea in 2014 and the war in eastern Ukraine. - It is not our concern. It is not. Geopolitically it is not a european issue. It is a Russian issue or a Turkish issue. It is not a european issue, he said to the Althing. The opinions impresses not Claus Hjort Frederiksen. - Riskær lack insight into many of the aspects. - The way he speaks on that so should we just do such and so should we just do such, it works to say the least, worrying if he is going to be a serious politician, says the defense minister. Klaus Riskær Pedersen and Claus Hjort Frederiksen has previously been a fellow party of the Left. From 1989 to 1994, sat Klaus Riskær Pedersen in the European Parliament, as selected for the Left. In 1993, he was expelled from the party and would continue as non-attached member in the remaining period. Klaus Riskær Pedersen is a former convicted of fraud, and he has collectively received over ten years in prison. 27. February was his party approved to be set up for the forthcoming elections to the Folketing. It takes place no later than 17. June.